This week is Volunteers' Week: a chance to say thank you for the fantastic contribution millions of volunteers make across the UK every day. Here at Castlehaven we are lucky to have a whole host of volunteers working across our different programmes and, via our Helping Hands scheme, out in the local community! This week we'll be sharing some of their stories - we hope they'll inspire you to get started on a volunteering journey of your own! Michael (second from right) with the Ageactivity 60+ walking group! Today's volunteering hero is Michael! Michael is a dedicated Helping Hands volunteer, leading our Ageactivity Walking Club, sitting on our Steering Group and volunteering as part of the wonderful group of gardening volunteers who do an amazing job keeping our park looking clean and beautiful! Michael first got involved at Castlehaven after passing the Haven building and noticing a poster for the Ageactivity 60+ programme. Getting involved with volunteering at CCA has allowed him to get more closely involved in the local community, and make the most of his free time "I like to come by and help in anything or participate in anything that's available for the day. I just like to help my local community". 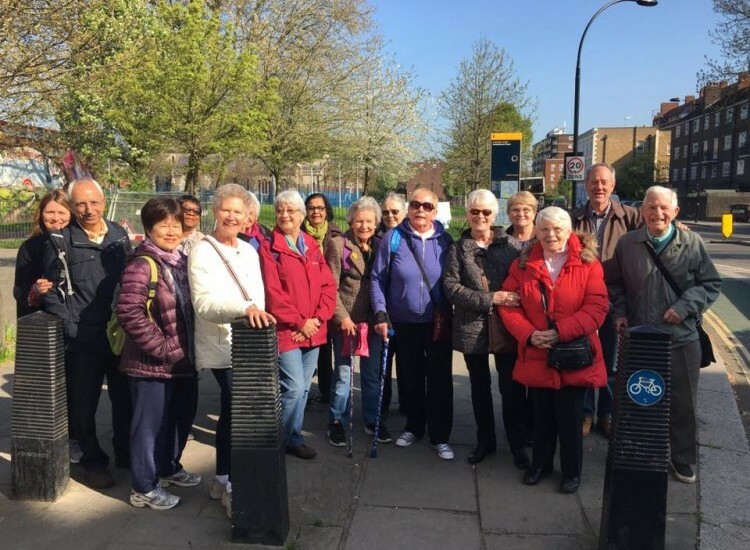 Through the Helping Hands programme Michael also got involved with Ageing Better Camden's 'Community Connector' befriending service, working to connect isolated older people with local services and community groups. One of his proudest volunteering achievements was when he recommended a client join the knitting group at Castlehaven; initially, she was too nervous to even attend the class, but through Michael's encouragement and friendship she found the confidence to join the group and make new friends. Like our other volunteers Michael is a great advocate for just getting stuck in and helping where you can "Come and give it a try!"